Going on a medical mission trip often causes us to step outside our comfort zone. 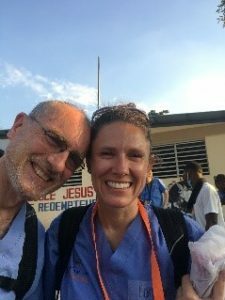 This was especially true this past Thanksgiving when five physicians traveled to Haiti, amid political protests across Port-Au-Prince. 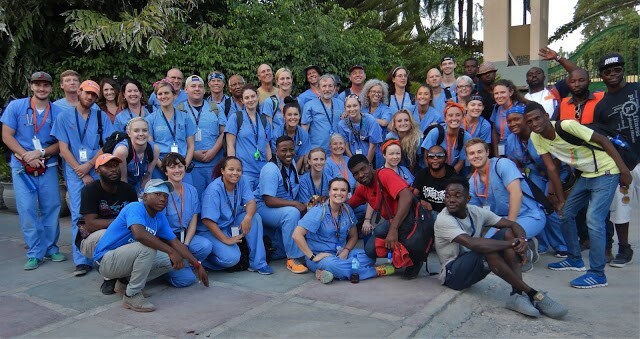 With much needed services shut down, these hardworking physicians were able to deliver much needed healthcare and education to locals and displaced persons in Haiti. Global Medical Staffing sent these five providers down to Haiti through a grant from the Making a Difference Foundation. When they arrived, they joined our nonprofit partner, International Medical Relief, and a larger group of volunteers. Together, they were able to help hundreds of patients. 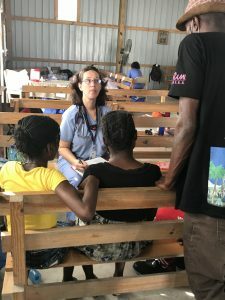 International Medical Relief has traveled to Haiti for medical clinics more than twenty times since the 2010 earthquake. Although there has been an international support effort, Haiti still remains in need. Lack of access to basic healthcare and education creates unique challenges. Lanissa Bell, Director of Global Medical Staffing’s Operational Support Team and a member of the mission team, reflected on IMR’s commitment to sustainability and healthcare education. Everyday there were more patients to waiting to be seen. Haiti always has a high patient load, as this is one of the only urban trips that International Medical Relief offers. They partnered with local medical and dental students to ensure follow-up care would be provided and to learn from the volunteers. Dr. Maria Chansky, Family Practice, mentioned the high patient load when asked to reflect on her experience. While the team was only in country for a few days, the work continues long after they are gone. Every physician who volunteered their time and expertise to give back to this under-served area, is truly making a difference. If you want to learn more about opportunities to make a difference in the world through a medical mission trip, please contact the Making a Difference Foundation.